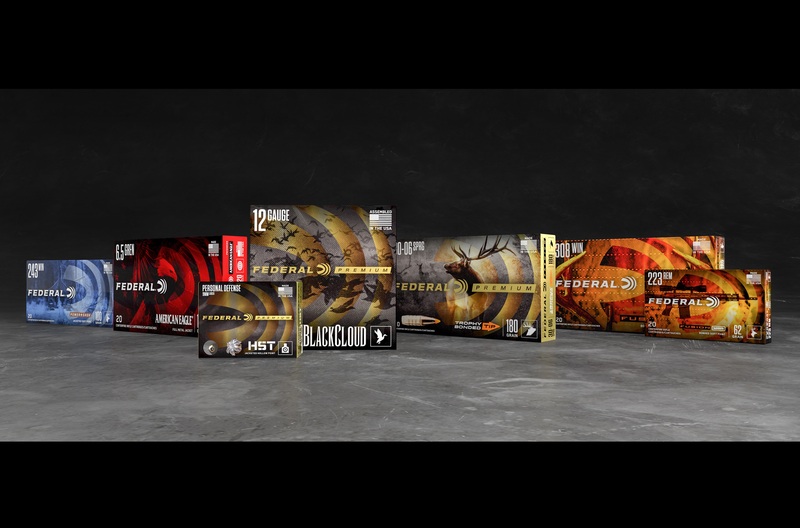 ANOKA, Minnesota - January 7, 2019 - Federal, the world’s largest sporting ammunition manufacturer, is rolling out an exciting new look and feel as part of its continuing progression. The major shift, which the company calls “The New Look of Authority,” includes a new logo and complete packaging refresh. The initiative gives Federal a fresh, modern logo. The simplified logo features a stronger, bolder font that’s customized to show motion and cutting-edge technology. It’s derived from the original Federal logo but has a contemporary feel with the iconic Shockwave logo. The new packaging designs use this new logo and all have a cohesive look throughout the entire product line. All Federal products will now have an exciting new look on its packaging. Using bold, eye-catching aesthetics, the design will make it easier for consumers and sales associates to quickly identify Federal products on the shelves. The Premium line is being reinvigorated with many exciting new products and a return to its iconic gold color. 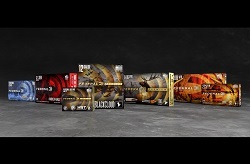 “With so many ammunition options at retail, we made sure this packaging stands out and immediately communicates what we know consumers want to see,” Vanderbrink said. All Federal products that have existed in its catalog will continue to do so within a revised structure and new overall packaging design. That includes proven favorites such as Federal Power-Shok, Top Gun, Speed-Shok, Fusion and American Eagle, as well as more recent additions such as Syntech, Train + Protect and Non-Typical. Federal Ammunition will have the new logo and packaging samples on display in Booth No. 14551 at the 2019 SHOT Show, January 22-25 at the Sands Expo Center in Las Vegas, Nevada.